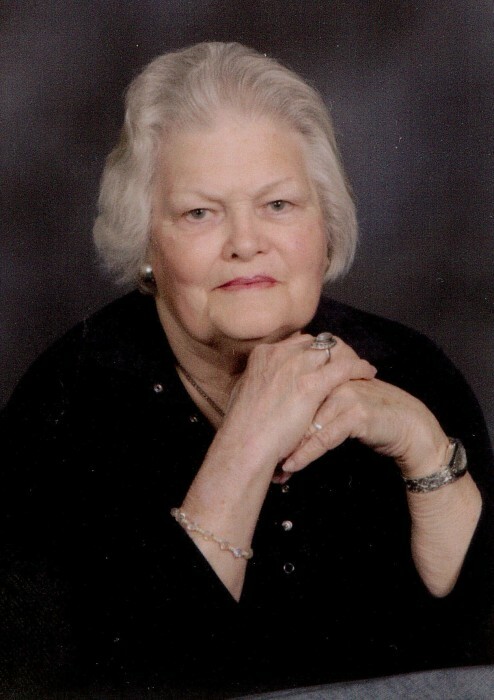 Ardella Pearl Waller, age 89, of Centralia, Illinois, was called to Heaven at 4:25 A.M. on Monday, October 8, 2018. She had an extended stay, during the summer, at Centralia Manor in Centralia, Illinois. She was a devoted mother of three and had a strong belief in God that carried her through life's struggles and ultimately gave her peace. She was born on July 15, 1929, on the fun family country farm near Afton, Iowa, the daughter of the late George Dewey and Florence Irene (Stoner) White. She was blessed with a loving fun family of seven siblings; brother, Wayne White and wife Charlotte; sisters, Norma Cheers and Wanda Whitehead and husband Duane; sisters-in-law, Doris White and Dorothy White; late brothers, Arden White, Elvin White and Gordon White and late sister, Veda Hamilton. Ardella married her loving husband of 47 years, Kent Delong Waller, on June 16, 1950 in Afton, Iowa and he preceded her in death on January 31, 1998. Out of their love for each other, they had three children, Jacquelin Waller Sternquist and husband Arvid Sternquist, Haldon Waller and wife Jody Storey Waller and Patricia Waller Badger. She had three beautiful granddaughters, Kristen Danielle Badger, Michelle Irene Sternquist and Hope Anne Waller; two step-grandsons, Adam Sternquist and wife Beatrice and Joshua Sternquist and six step-great-grandchildren, Evelyn Sternquist, Joshua Sternquist, Rachael Sternquist, Luke Sternquist, Abigail Sternquist and Jillian Sternquist. She had many nieces and nephews who she loved dearly. Ardella was a member of First Christian Church (Disciples of Christ) in Centralia, Illinois. Earlier in life she taught Sunday School. She loved to sew and finish furniture. She enjoyed baking and her family and friends loved her banana bread. Ardella had an amazing laugh that will be missed. While her family was young, she stayed home and took care of her children. Later in life, she graduated from the Centralia Cosmetology School and worked as a beautician. She cherished the time she spent with her family, especially her grandkids. She has lived in Centralia, Illinois since 1999. A Celebration of Life Service for Mrs. Ardella Pearl Waller will be held at 11:00 A.M. on Friday, October 12, 2018, at the First Christian Church (Disciples of Christ) with Reverend Paula Comper officiating. Interment will follow in Mount Evergreen Cemetery in Central City, Illinois. Friends are invited to visit with Mrs. Waller's family from 9:00 A.M. until the time of services at 11:00 A.M. on Friday, October 12, 2018, at the church. In lieu of flowers, memorial contributions may be made in Mrs. Waller’s honor to the First Christian Church in Centralia, Illinois, Alzheimer's Foundation of America or the Angel for Autism in Nashville, Illinois and will be received by the Moran Queen-Boggs Funeral Home in Centralia, Illinois. Please view the online obituary, send condolences or share memories with Mrs. Waller’s family at www.moranfuneralhome.net or on the funeral home’s Facebook page.